Make small balls of the dough and roll it to a thin round. Heat the tawa (pan) and fry the chapatis with oil until the brown spots appear. 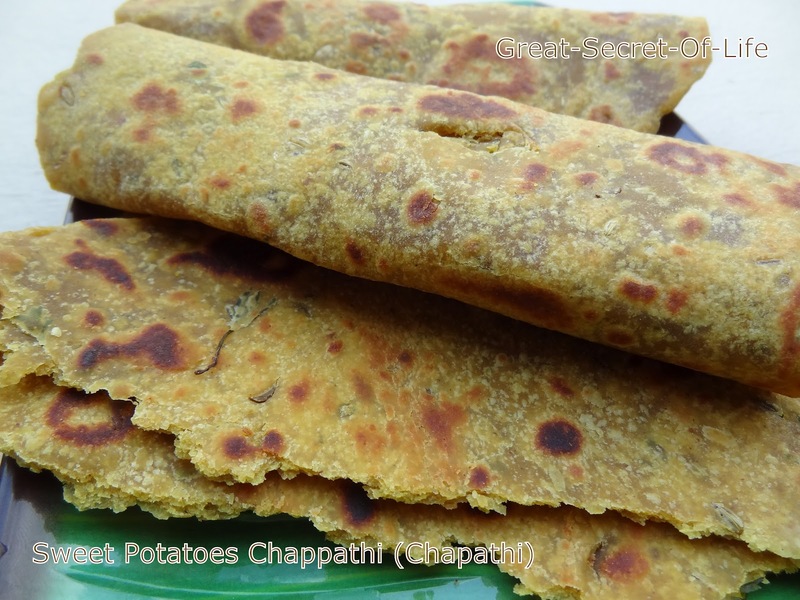 Tasty sweet potato chapatis are ready to taste.